Satisfy your desire to travel to one of the most beautiful islands in the world, Palawan! Palawan is definitely one of the most sought-after destinations in Asia today. Recently, it was hailed as the Best Island in the World for 2016 by Travel + Leisure Magazine. There are a number of reasons why Palawan is always voted as the best in the world. Aside from its stunning turquoise waters, lush forests and white sand beaches, it is also home to a marvelous marine life; exotic species of fish and captivating coral gardens. Hence, a perfect destination for diving and snorkeling. Besides the magnificent underwater haven, Palawan also offers an incredible wildlife sanctuary. In fact, it is the largest in the Philippines. Palawan is also considered a tropical paradise nestled in the UNESCO protected marine ecosystem. It also boasts of a plethora of picturesque views and high mountains, excellent for hiking and daytime strolls. Put Palawan on your bucket list and journey to this paradise on earth. Choose to stay at Club Paradise Palawan, and enjoy its pristine white sand beaches, relaxing and charming accommodations as well as its colorful flora and fauna. This month, Club Paradise is offering the Wanderlust deal - PHP 6,598++ per night in a Hillside Cottage, PHP 7,053++ in a Garden View Room, PHP 7,599++ in a Garden Suite and PHP 9,188++ in a Sea View Cottage. The package is inclusive of buffet breakfast for two persons at Ocean Restaurant and one-time complimentary lunch for two. Offer is valid for stays until 31 October 2016. Terms and conditions apply. Minimum of 2 nights stay is required. Booking is only until 30 September 2016! 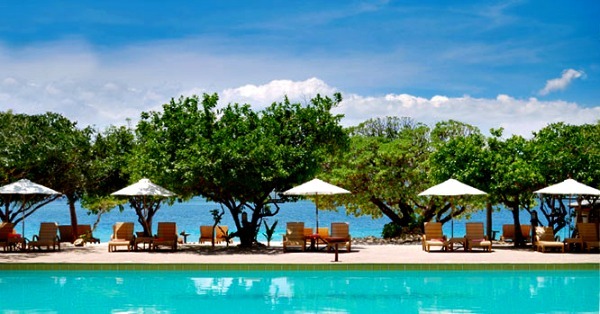 Book this offer using the promo code WANDERLUST at www.clubparadisepalawan.com/wanderlust-promo. Club Paradise Palawan is a 19-hectare island resort on Dimakya Island of Coron, dotted along UNESCO’s marine sanctuary. The exclusive property features 55 rooms and cottages with scenic views of nature, as well as a spa, restaurant, and two bars.